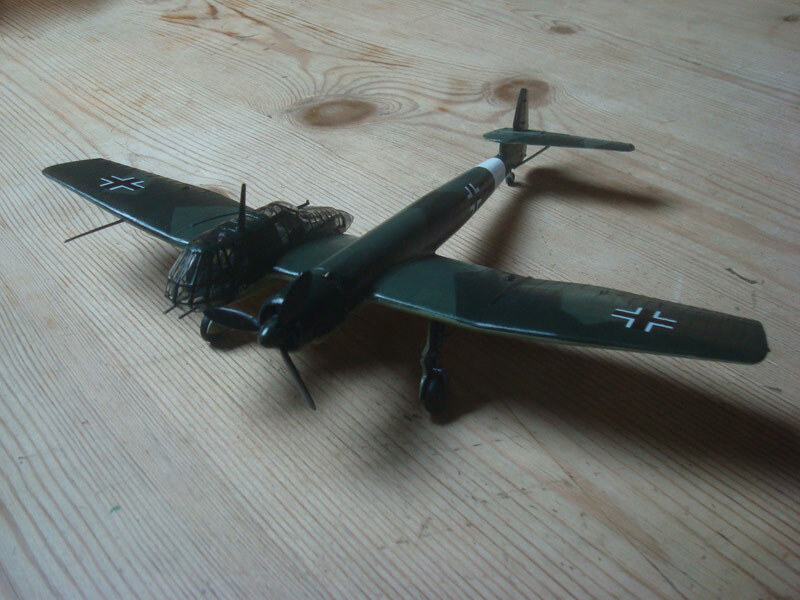 Finally put the finishing touches to the 1/72nd scale ww2 tactical reconnaissance aircraft, the Blohm and Voss BV141. This is one of the most asymmetrical and unorthodox aitrcraft to appear in WW2. Although it never went into operational service, this was not due to any failings with the design. There were plans to form a squadron in Russia, but this never was actioned and all development was scrapped by 1942. I added the white band marking to the rear boom, indicating allocation to a western front squadron, and whilst this is a flight of fantasy, I have seen reference shots of an actual aircraft (albeit not the NCRA aircraft featured) with similar markings , and thought it added to the overall effect. i) The cockpit was devoid of any details, owing to the amount of clear plastic, it is neccessary to delve into a bit of modification and scratch-building for the interior. ii) the cockpit halves do not marry up that well and the clear plastic does not seat well (lots of gaps), and there is quite a bit of that! iii) the clear plastic is a real trial to paint, lots of it, very fiddly and requires a steady hand. 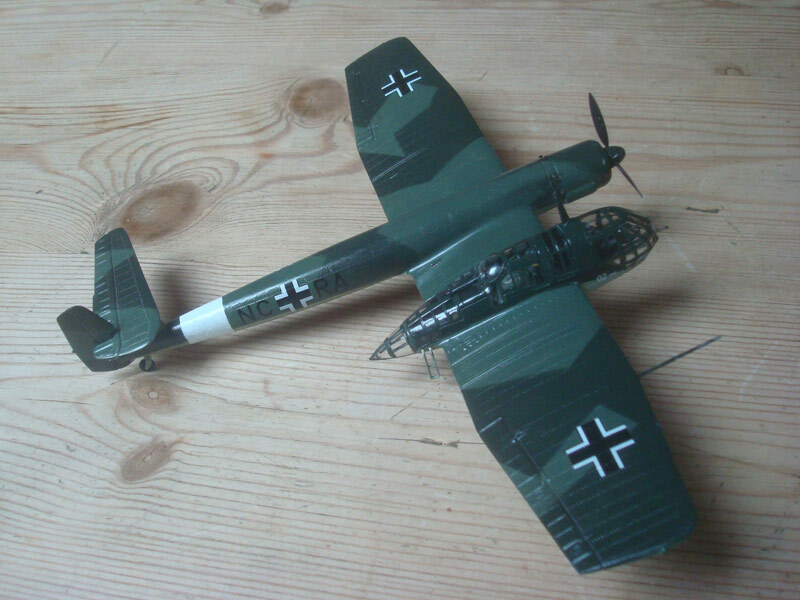 I have seen examples of other models where cocktail sticks, painted transfers and masking have been used to moderate effect. I thought I would just get on with it and paint it freehand.. the results are passable. iv) the bombloads on the underwing have to be added after the registration decals (not mentioned in the instructions), plus the Balkankreuz on the underside have to lie over very prominant control surfaces, requiring cutting and re-touching...and do not match up with the wheel bays... not for the faint hearted or novice! Apologies for my camerawork.. I will take shots of all the models again with a proper set-up when the weather is next good enough for an outside shoot.. might even make a diorama for them to sit on.